BRIMS Animal Facility is known as Malaysia’s first Specific Pathogen Free (SPF) facility and home to approximately 1,000 Mice and Rats. We have introduced procedures to import SPF rats and C57BL6N mice with health certifications into Malaysia and created two lines transgenic Wister rats with EGFP-labeled GnRH and GnIH neurons to study neuroendocrinology and several experimental animal models (depression model, Social Isolation model and sexual dysfunction model). 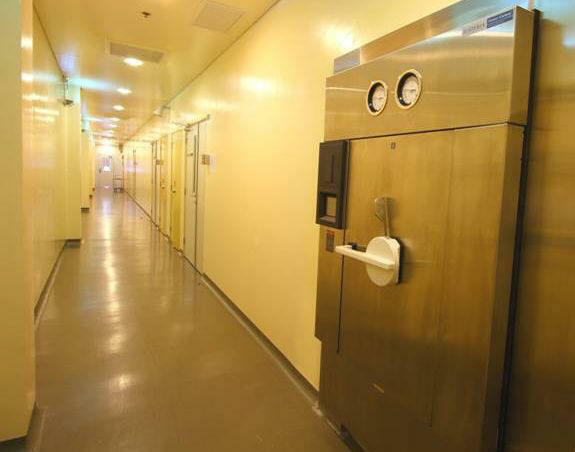 Left picture: SPF animal facility. Right picture: Animal holding system. 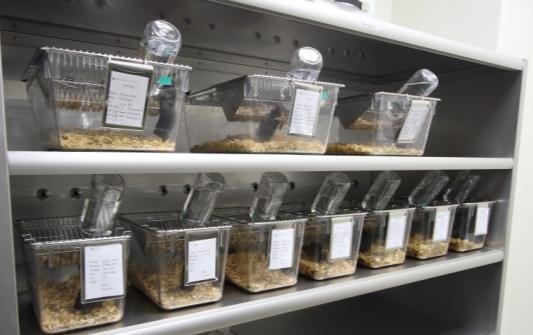 We have established a behavior system to study neuropsychiatryic disorders, sexual dysfunction and sleep disorders using rodent and fish models. 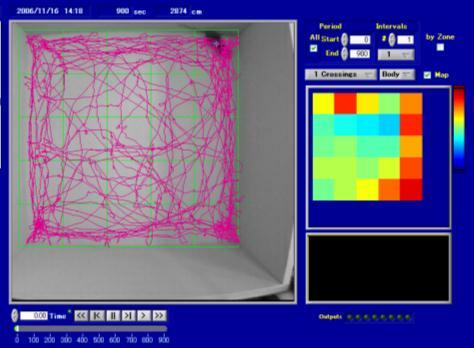 Left picture: Animal behaviour analysis system. Right picture: Limelight software. 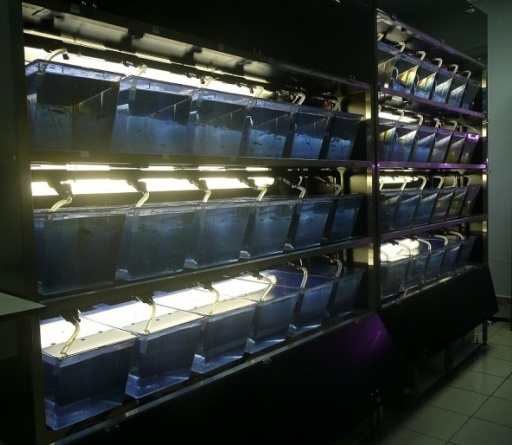 The BRIMS Fish Facility holds the zebrafish (Danio rerio) and tilapia on different developmental stage. 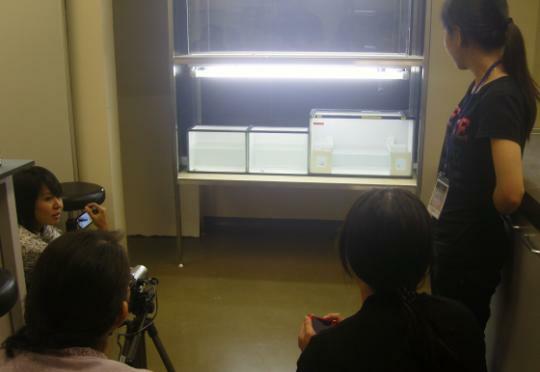 This fish facility holds wild-type (RW) and various genetically modified of the zebrafish (Danio rerio) introduced from RIKEN Japan and Germany. Featured as a biomedical research model with great advantages, we have also established a behavior system to study addiction, neuropsychiatryic disorders, and sleep disorders using fish model. In addition, we conduct several technical services, including toxicity test, drug screening, creating transgenic fish, gene targeting using fish model. Left picture: Tilapia Holding System. 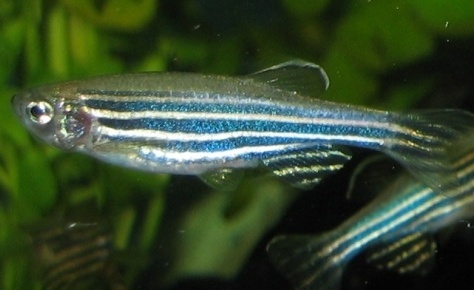 Right picture: Zebrafish (Danio Rerio). 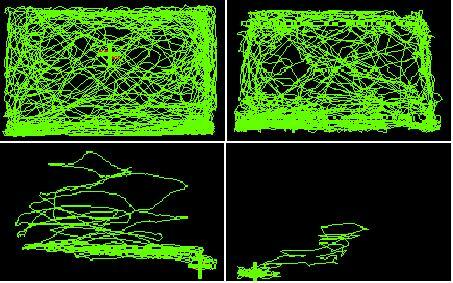 Left picture: Fish behaviour tracking system. Right picture: Lolitrack.